For those who missed it on our travel blog, I posted a new item, The Ferryman (link), a Wichita Mountains hiking adventure, last week. Enjoy. 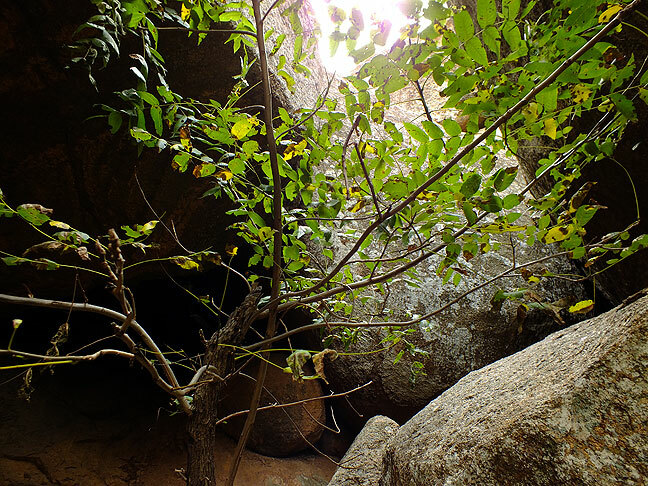 A small tree gathers what sunshine it can as it grown in a cave formed by fallen boulders in the Charon’s Garden Wilderness Area of the Wichita Mountains Wildlife Refuge. You are an enabler to my home sickness.